Yes! As spoken in the title, "Everyone can afford a Facial Cleansing Device now!" I have always wanted to buy a cleansing device, especially few years back when cleansing device was such a hot item in the town, where everyone was crazing about how amazing it works. Back then, I felt it was too expensive for me to own one. Luckily, I have come across Nion Beauty, USA based company with professionals from Korea and USA that come out with affordable yet revolutionized skincare device. 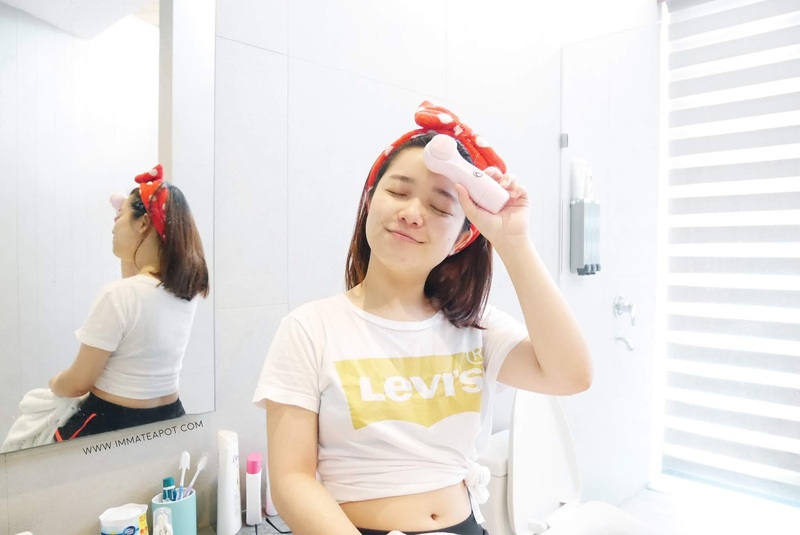 In this post, I will be sharing about my very first cleansing device - Opus Express that works brilliant on my skin, with a plus point - I am able to afford! Yes, it costs only at RM187.90. 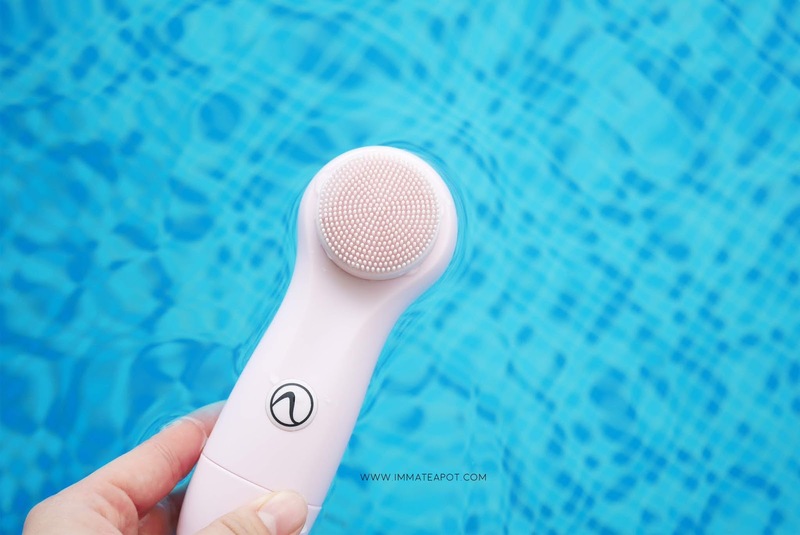 First impression on the cleansing device, it looks super cute in pastel purplish-pink tone, curvy in shape which is perfect for grip. What so special about the OPUS Express? As compared to the traditional bristles brush head, OPUS Express with silicone brush head will not damage the skin as it is softer on skin, no friction involved during the rotation. Hence, it won't cause skin redness or irritation. Beside, it will not get mouldy and bacteria-free. The silicone brush head is resistant towards chemicals and fungus, hence more durable. Moreover, it comes with S-ion technology silicone tip that helps neutralizing the environmental toxins and generate negative ions for our skin, that helps enhancing our mood, reducing stress and boost our health. Step 1: Wet your face and apply any of your favorite cleanser. Step 2: Apply the cleanser on face and spread them evenly on skin. Step 3: Wet the OPUS Express's brush head and gently glide it across your face in a circular motion with your favorite choice of speed for about 3 minutes. Step 4: Rinse your face and you are done! Personally, I love how the concept is, I feel so much more hygienic as compared to the bristles brush. During the application on skin, it works much like a massage for me, which helps improving the blood circulation. I guess it has to work on a foam kind of cleanser, to feel the 'cleansing action', as I don't feel the cleansing action on gel cleanser. Upon using with the foam cleanser, my skin feels so much smoother and soft. Totally like how it feels after exfoliation, but not really like deep cleansing. 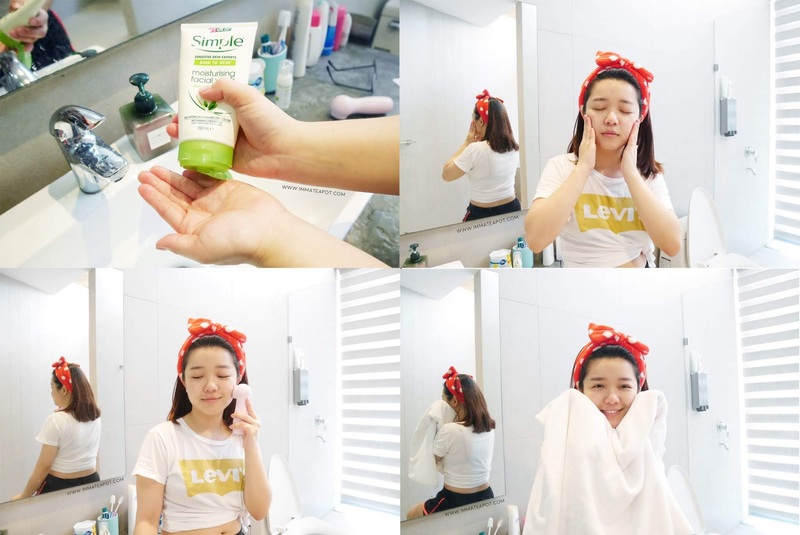 Definitely, it works much better compare to our hands, as the surface area is much smaller and it can reach out more tiny areas on face. Beside, I don't mind spending a few more minutes to use it as a 'massager', massaging my face from bottom to top, inner to outer, like a lifting action. Double action in a cleansing routine, cleanse and lift! I will definitely use it for twice a week as a intense massage or exfoliation for my skin. Yes! 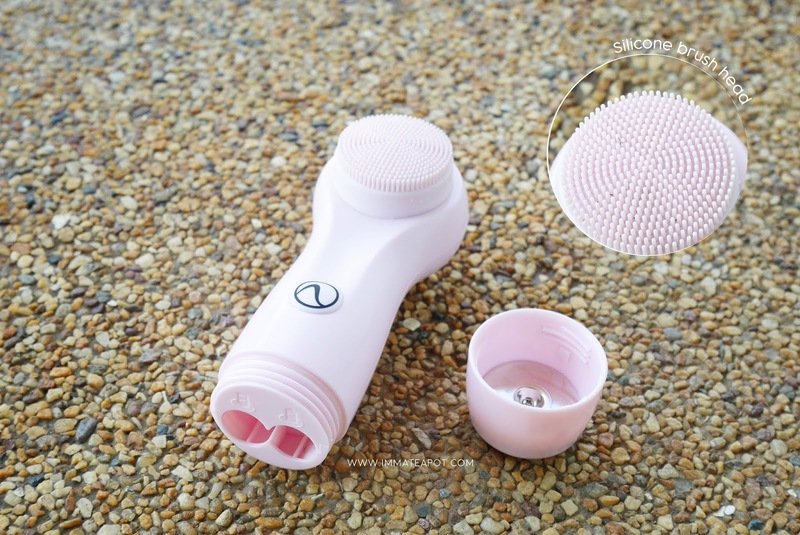 I'll repeat again, this OPUS Express cleansing device is only cost at RM187.90!